Westlake has a new Primary School! 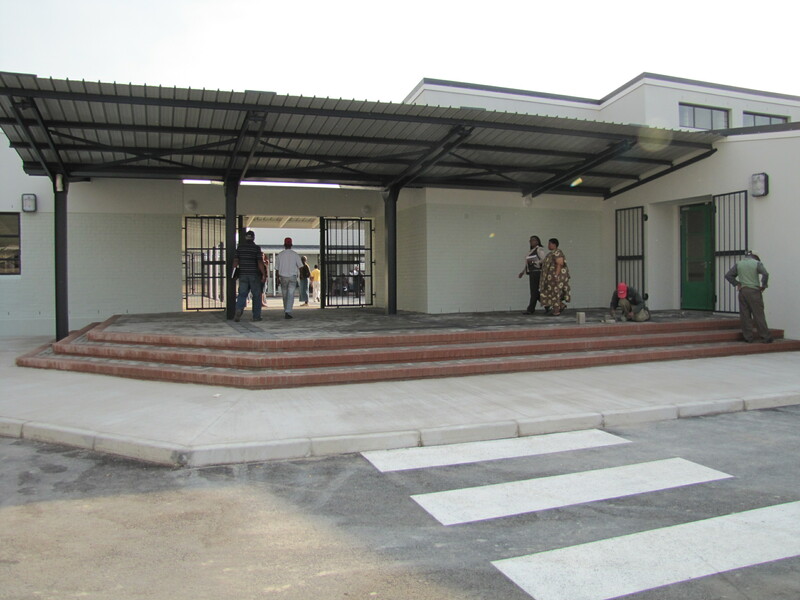 There was much excitement on Monday (11 April) when the new Westlake Primary School opened its doors. Children queued in the hall to register for classes while parents curiously explored. Other children waited in the quad before being led to their classroom where the air was filled with the smell of paint, new carpets and desks, everything shiny and pristine. “We are so grateful to the Ackerman family for all they have done” said Patrick Heyns, Chairman of the newly established Westlake Development Foundation. 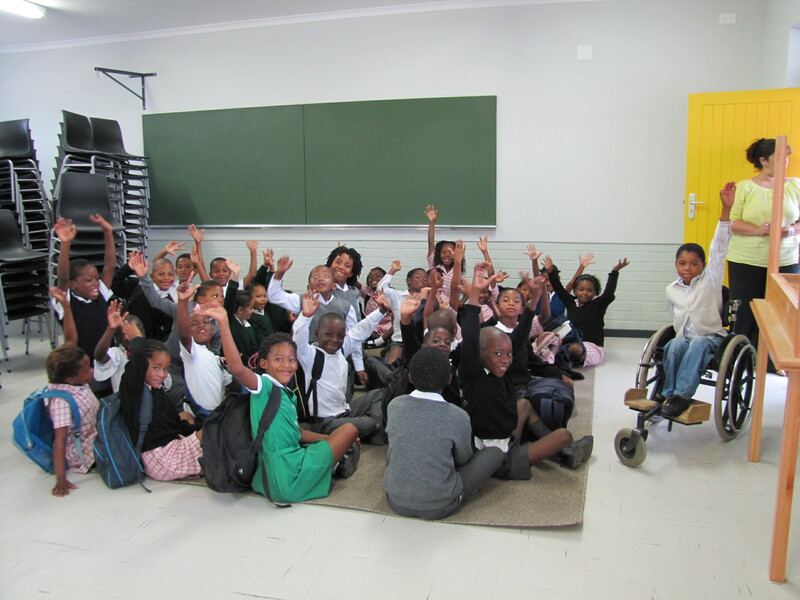 (The Ackerman Foundation contributed about R5million towards the school, which cost R15 361 947 to build). There has been a desperate need for a primary school in Westlake since the RDP/government houses were built in 1999. 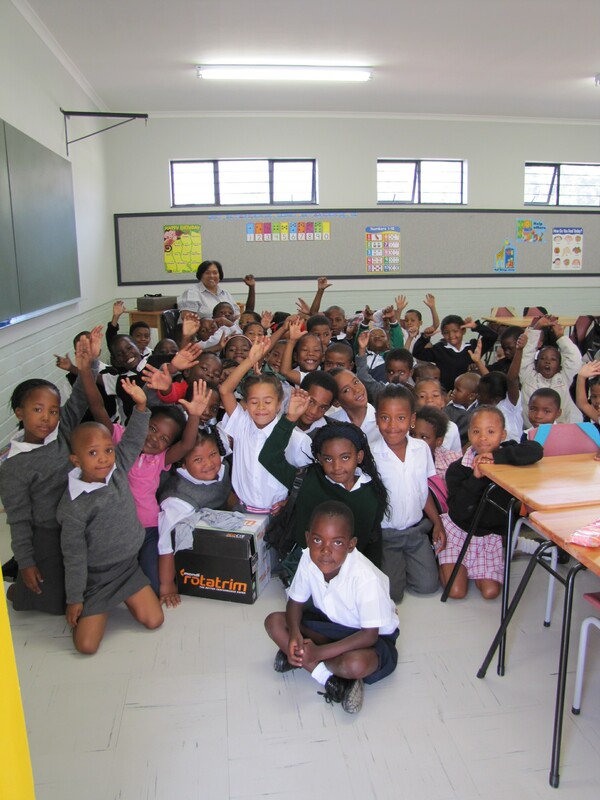 The children have been attending over 14 schools in the surrounding areas, such as Constantia Primary, Thomas Wildschutt junior and senior primary schools in Retreat, Heathfield Primary, Steenberg Primary, etc. 4 buses have been transporting them to the various schools. Now they will be able to walk to school! The official opening will only take place in three to six months’ time. In the meantime there is much to be done, including choosing a name for the school, choosing the uniform, employing teachers and finalising the governing body. An acting governing body has been elected for the time being. The higher grade classrooms were not ready but are expected to be handed over during this week. 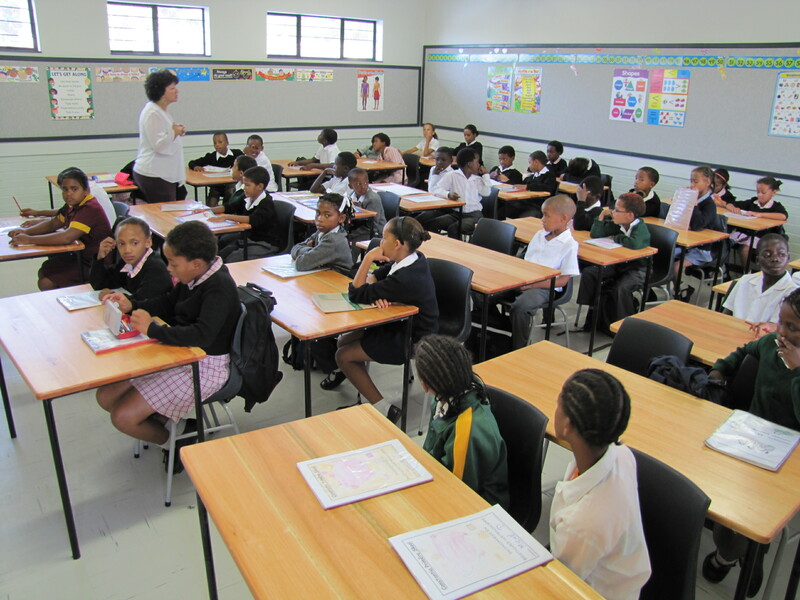 There are 46 Grade 6 pupils and 10 Grade 7 pupils but these numbers are expected to change as parents register their children. The acting principal is Landie Diamond. She was the deputy principal at Fairmount High School before taking on her temporary role at Westlake.